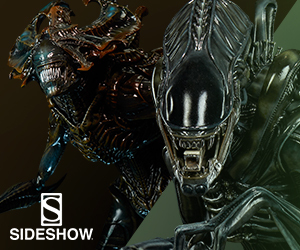 Welcome to another installment of SIDE BY SIDE, where we dissect the differences and similarities between two films, be it a remake/reboot with its original, a sequel with its original, or two similar movies. 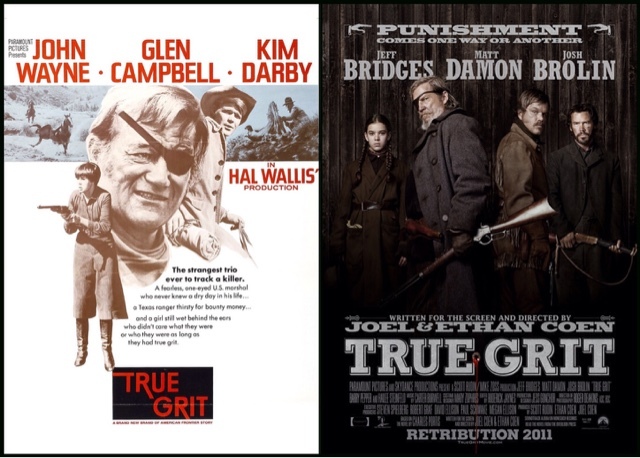 This week we will look at the 1969 western classic TRUE GRIT, starring John Wayne and the 2010 Coen Brothers directed remake of the same name. Enjoy! 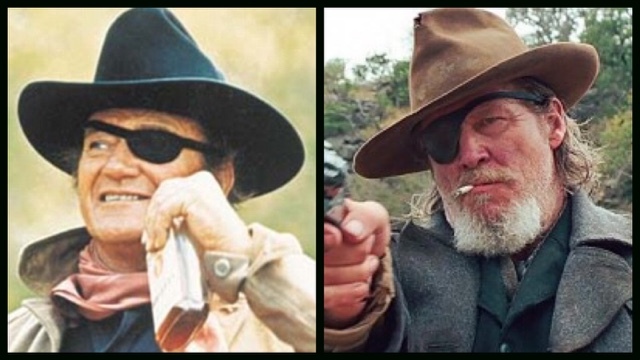 Upon first hearing about the True Grit remake, I had no affinity for the original, and so I didn't know what to think. After watching, and loving, the Coen brothers take, I decided to watch the original, and I have to say, I thoroughly enjoyed it. In my opinion there are a few key differences as to why I love one more than the other, despite the plot being pretty much identical. Surprisingly enough, despite my fondness for Jeff Bridges, I still feel as though the weakest part of the remake is the sometimes almost incomprehensible dialogue from Bridges, despite the rest of his performance being strong. Because of this, I had a tough time following along with his character. I personally thought that just in terms of looks, Jeff Bridges fit the role better, but the voice he used really did let me down. Meanwhile, John Wayne's Oscar win for his role signifies just how good he really was. He portrayed the character in such a great way that helps you understand and see exactly what kind of a character he is, as an interesting anti-hero type character that sways either side of the line throughout the film. This is probably the easiest category to see clear differences. 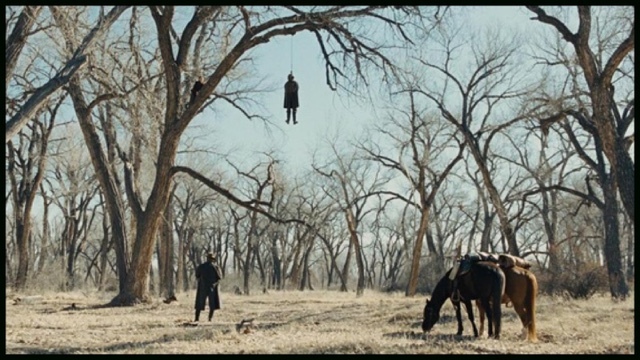 The cinematography of Roger Deakins, as usual, is absolutely breathtaking in the remake, making it one of my favourite films in terms of it's stunning visuals. It really sets the scene and makes me understand the breadth of the location of the west. It's obvious that advances in technology give the remake a strong advantage here, but that doesn't make it any less stunning and practically flawless. To me, the cinematography in the original is probably it's most average characteristic. Although it does have some nice shots, it feels less natural to me yet, despite limitations due to when the film was made, has effective shots through the dialogue. It also has much longer takes, as older movies generally do, which is effective for dialogue, but I appreciate this equally considering both films have strong scripts to support this as well. I personally loved Hailee Steinfeld's performance in the remake, as she portrayed the character extremely well and felt natural and compelling, holding together most scenes in the movie (and probably deserves more than me crediting her as supporting). 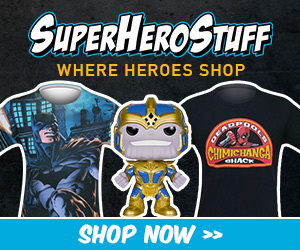 I think that Matt Damon, despite a strong performance, was miscast and felt out of place, although I can't put my finger on why, and I seriously admire and respect Josh Brolin as Tom Chaney, whose performance, in my opinion, was the best in the film. Despite the fact that John Wayne is fantastic in the original, the rest of the cast was on a much lower level, giving good, but not fantastic, performances. They were enjoyable to watch, but I didn't feel enough for them, which may not be entirely down to the performances but was key nonetheless as to why I thought that the supporting characters in the original were simply not as good as the remake. 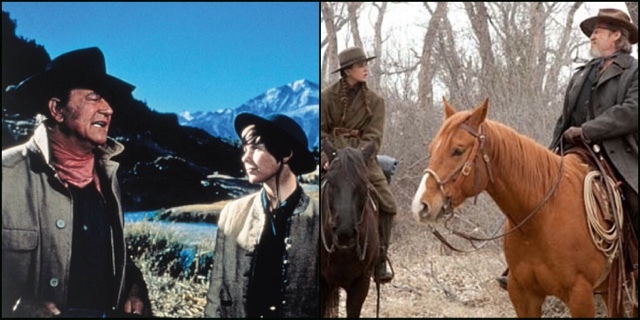 The difference between these movies for me, and why I love one more than the other, is the simple fact that I respect the original, but loved the remake. Because of this, the remake edges out the original for me, boiling down to the Coen brothers typically fantastic script and characterization, while being able to shoot tense and engaging dialogue with equally strong action scenes. I just wish that the original film was able to engage me as much as the remake. 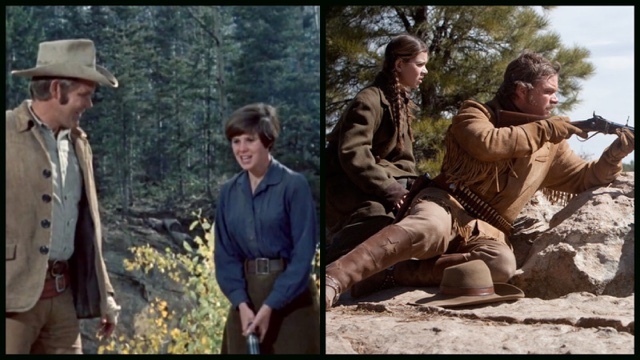 I don't attribute this to the older style of shooting dialogue, as my favourite western ever is Once Upon a Time in the West, and I just feel as though True Grit (1969) doesn't match those heights, while the 2010 remake, despite telling the same story, felt refreshing and completely different.